Tim Fraser - Rare Find!! About 2 years ago I saw a man named Tim Fraser.... 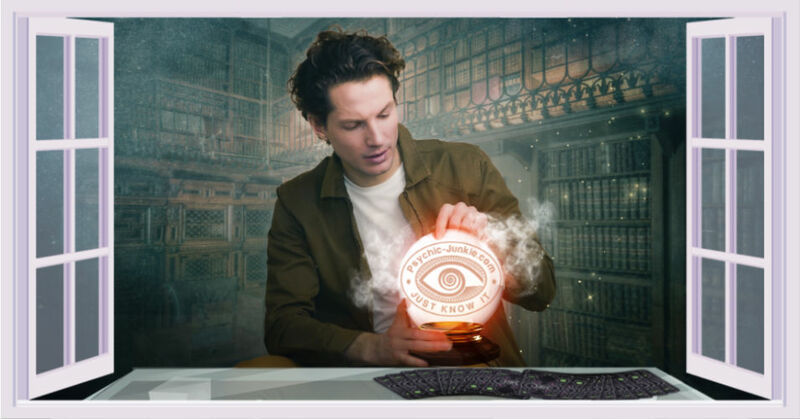 I came across his website while surfing the net for legitimate clairvoyants. Just by reading his website I was struck at how different he sounded from the rest. He is not into tarot, crystals or any other hocus pocus as he refers to it... he just uses his natural abilities alone. He only reads in person so unfortunately anyone outside of Brisbane, Australia will not be able to get a reading. His readings are an hour long and he conducts them at his house in his living room. I have suggested him to some friends who have also been impressed by his accuracy. All readings are recorded on cd so as you can refer back to them at a later date. If you’re in the area give him a try.....I'm sure you'll be impressed!! Comments for Tim Fraser - Rare Find!! Life changed for the better... In 45mins. I've seen Tim a hand full of times over the last 9-10 years for various reasons. What I like most about Tim, is that I barely have to say a thing at his readings. The moment I walk through the door, he already knows exactly why I'm there. He instantly validates my situation, the issues faced and my deepest thoughts and insecurities and proceeds to give me the insight and practical guidance that I've been searching for, in order to navigate life's challenges. I'm still blown away every time by his accuracy and insight. It hasn't always been what I wanted to hear though; making me come face-to-face with some harsh realities. But in every instance it's been exactly what I needed to hear to change my perspective and thus my life. I've come to describe these experiences as - "You're on a need-to-know basis, and you'll be told exactly what you need to know." So if it wasn't mentioned, you're not supposed to know it. After being here several times, I now accept and trust in the process. In summary, Tim is pragmatic and truthful in his approach, no 'witchy-woo' and that's why I come back. I've recommended many people to see Tim over the years and they report similar experiences to mine.  If you intuitively feel you need to see a psychic, call Tim. He is the real deal. Life changing stuff in 45mins... Best investment I've ever made in myself. Forever grateful. Thank you. It's been many weeks since I saw Tim and now listening to the recording of my reading I realize it's all coming true. If not for his words there would be no understanding of when and why things are happening emotionally to me at present. And the guidance given regarding others in my life past and present allows me to understand and forgive. I sought out Tim to help guide me in the right direction with some tough ‘life choices’. He was so amazing! The advice he gave me was so correct, it was actually word-for-word accurate. It saved me from pointless sleepless nights and confirmed that I needed more help than I was getting. I am SO grateful to Tim - he even pointed me in the right direction to get my car fixed and saved me lots of money! Thanks again Tim. Amazing stuff. This great medium was on point with everything in my life and I am amazed at his talent. Highly recommend. Genuine and accurate. I wanted to thank you for the reading last week. You were accurate about nearly everything Having somebody confirm what you're feeling in the detail in the way you did so quickly without any prior knowledge is powerful. I have had to a lot to think about now and i appreciate it. Thankyou. I’m so glad that I saw him. It feels like I was given just right amount of information to be able to move forward and to understand better about myself. Not too much details, but I think better that way so I don’t get confused. It didn’t sound convincing at the time, but after he said things about my past that he would have no way of knowing.... I changed my mind. Like he can see inside my head... Besides, few things that he mentioned during the reading which I thought unlikely to happen have happened already. Amazing. Oh, also his soft voice was so soothing to my anxious soul! It was like a therapy session. Now I know that there will be light at the end of the tunnel, Ill just surrender and go with the flow. Thank you very much, Tim! I have been to see many psychics over the years and Tim is amazing. He is very down to earth and his approach is quite unique. The things Tim has told me are straight to the point and accurate. As soon as I sit down on the couch he usually is able to start telling me things he would have no ordinary way of knowing. He doesn't sugar coat things - he is honest and direct - passing on authentic intuitive messages without adding his own opinion. Tim records the readings, so at the end you get to take away a CD so you can replay it and listen to it in the future. Over the years, pretty much everything Tim has predicted for me has happened. He is a rare find and is highly recommended. I've seen Tim a number of times, his talent and gift is undeniable. He's always been accurate and some things I haven't understood have made sense later after listening to the CD. I am a person who has been a Reiki teacher for over 20 years now. The psychic side has always interested me so I seek out people like Tim to see what they have to say. All I can say about Tim is he is good and he is true. The information that comes through is accurate and I have now gone back to see him many times and would consider him to be one of the best. Don't waste your money on anyone else. I assure you this guy is tuned in well. I found Tim a few years ago and found his reading quite accurate. I came again after my partner died from a brain tumour recently. He was so accurate there was no other way he knew what he said to me today. He was so accurate, so honest. I have and would strongly recommend him to others and would strongly recommend him to people who seek to find an honest and no nonsense approach to understanding more about yourself and others who has passed over. Thank you Tim for today.  I have gone to see Tim twice in the last few years, my first time I was a little skeptical because I took a gamble with a google search for a Psychic. I was expecting a dark room and a table with candles or something weird. Tim knew a lot very quickly about myself and how I was feeling and thinking without any hesitation and I though it was impressive without knowing anything at all about me. He had an understanding of of my sporting interests, my goals and motivation was very helpful for me. I don't know how to describe it. He understood my frustrations and it helped me examine my emotions differently. The first time a lot was said that was me to a tee. He got things right about other people around me. I do remember leaving his place thinking I will see him again. I had a reading with this clairvoyant a couple of years ago. All in all I found it positive but as opposed to others experiences I actually did find him a bit terse at times during the reading. It was clear to me that he was being adamant though & just his style. Listening back to the cd later I realised what he was getting at. Didn't like it at the time but he was spot-on. It can't be anything personal as he didn't know me from a bar of soap so I wasn't offended. I'm a private person & ordinarily wouldn't comment in online forums, however I also like to give credit where credit is due when I feel strongly about a service I've received, or a particular person's abilties. My few experiences with Tim over the years have been very positive, having first seen him about 7yrs ago, after he was recommended by an acquaintance. What struck me initially was his unique approach. Very grounded man, very direct yet never terse. Objective, yet displaying empathy in his tone when touching on sensitive issues. Being a grounded individual myself I would never return to anyone for a service of any kind unless the initial experience was worthwhile. Needless to say, having seen Tim a few times now over the years, I highly recommend him to anyone who seeks a genuine reading. No fluff, no bubbles & rainbows, just a very informative one on one session. The added benefit of the provided cd recording of the session is a huge bonus, as listening to it again at a later time often verifies or reveals various aspects that earlier may have seemed vague or unrelated to your life/situations. I highly recommend Tim Fraser. Normal guy, no ego, no airs or graces, just excellent at what he does. Gifted clairvoyant. I saw Tim a few years back.Everything he said that was going to happen has-he is absolutely amazing! I would highly recommend him to anyone who would like to foresee the future - coming back to Brisbane next year so will definitely be booking in to see him again! He is the real deal. I gasped when Tim used the word "narcissistic" to describe the person of a text book case in my life. That’s the ultimate diagnose I gave to this person, among many other terms I use and only I know in my head. Seeing Tim looking into the air and describing precisely people closely related to you, it did not feel like a psychic reading, it felt like listening to an old friend and a true friend do not tell good things only. With so much information laid in front of you in one hour, the value is so much better than seeing a lawyer or a medical specialist. And it feels totally opposite to a hypnosis session, because the amazement of how he knows keeps you hanging on every word he says. When I heard the first thing he said to me, I was still thinking "I bet that’s the thing you tell everyone who walks through this door." Now I say if you feel your life is as stuck as how I have been feeling, you should gave Tim a try, even for entertainment. It felt spooky that people with the gift he has do exit and of course his predictions remain to be tested by time. Just had an amazing reading with Tim. His accuracy was incredible. He covered all my major issues without any prompting. I felt he could connect with my core being. He doesn't sugar coat, which I didn't want. He was absolutely spot on in a way I have not experienced before. I feel empowered by his reading, reassured I am going in the right direction and I am grateful for the home truths. I learned some things about myself I have avoided acknowledging. I cannot recommend him highly enough. He is truly gifted. I first met Tim about 1995 at Deagon when I was a young man not long after mum got a reading. I saw him then again around 1997. Most of the things that were told to me over the years in those old readings gradually came to pass as time went on, especially my world travels and a lady I was involved with back in that time. I decided to see him again this year as I was going through some very difficult challenges in my current relationship. I’m still amazed at how right Tim has been with lots over the years, even when at times I didn’t think he was right, I will say that. His ability to describe not just events happening at the time or yet to happen but also having the ability to discuss my emotional point of view and help me to understand me. He has helped me make sense of a lot of things in my life and the reasons why things have unfolded as they have. I have always walked out feeling changed, the sessions are quite intense for me. He’s a knowledgeable man and I wish him well with his work, and I’m very appreciative of what I have gained this year and this is the reason for me posting today. It’s funny how he calls the next world or spirit world “upstairs”, it’s always stuck in my mind. Tim is one of the better clairvoyant readers around these days. I have gone a few times, on the Coast then a few years ago down in Brisbane with a friend and each time I was impressed and thought he was right on the mark. He says some obscure things that turns out to be right later on. Its not card readings you just sit down and he presses a tape recorder and then starts talking to you about your life or what your doing. I'm getting older now so I don't like to drive that far but I would like to talk to him again to see if he can tell me anything new. I went along to see Tim from reading some of these comments here. I'm glad I had a cd of the session because I realised a few things what he was saying later when I went over the reading. He can be very blunt and to the point which suprised me a bit a first. Another thing is he doesn't charge an arm and a leg for a reading, its affordable. He doesn't like any new age type stuff so if your into all that he's probably not for you. Glad to hear you had a good experience with Tim. I have recommended him to 5 or 6 friends since my reading and they all received great readings also with a lot of specific information that resonated with them. It's nice to know there are some genuinely intuitive people out there,I think he could make a believer out of any skeptic. Hi there, I was living in Brisbane in 2008 and had the fortunate pleasure of having a reading with Tim. Tim gave me approximately a 2 year reading and everything Tim said has since passed. This man is amazing. If you are ever in Brisbane I highly recommend Tim, you will be amazed and this will concrete your belief. My Husband and myself have seen a lot of readers over last 20 years. We have both had several readings from Tim in that time. Tim is more the traditional style of reader and you can tell he’s very connected, he has a presence. I first saw Tim in 1996 on the Sunshine Coast and I was quite amazed about what he knew about me and what was happening at that period in our lives. He said many insignificant things on the tapes that have turned out right now thinking back especially now the children are adults. We will hopefully see Tim again if we travel to Queensland. I have had readings with Tim for nearly a decade. He has the uncanny ability to read succinctly a given situation in life. It was through Tim's readings I could even start understanding a bit about soul and benefit of trying to be still. I have had friend from overseas have a reading with Tim when they where down in Brisbane, they too very very impressed and pleased with Tim's Reading. He didn't let me ask questions, he just went on and on with his talk. I was quite disappointed actually. To be honest, the things he said were very general and could be applied to everyone. Besides, 70% - 80% of the time he was telling "stories" of other people. I came here to get my readings, I wanted my questions answered. When I got the chance to slip in my questions, his seemed to dodge the questions. The most I could say, he came close as a motivational speaker rather than a clairvoyant. I was not impressed.